PASIG CITY, January 16, 2018 – Recognizing the importance of professionalizing standards for teachers and for their continuous development, the Department of Education (DepEd), through the Teacher Education Council (TEC), adopted the Philippine Professional Standards for Teachers (PPST). In DepEd Order No. 42, series 2017 or the National Adoption and Implementation of the Philippine Professional Standards for Teachers, Education Secretary Leonor Magtolis Briones stated that the new set of standards for teachers is propelled by the introduction of national and international frameworks, such as the K to 12 program and ASEAN integration. The PPST outlines the required skills and competencies of quality teachers, enabling them to cope with the emerging global frameworks. The PPST basically aims to: 1) set the clear expectations of teachers along well-defined career stages of professional development from beginning to distinguished practice; 2) engage teachers to actively embrace a continuing effort in attaining proficiency; and 3) apply a uniform measure to assess teacher performance, identify needs, and provide support for professional development. Briones pointed out that the PPST will be the basis for all learning and development programs for teachers to ensure that they are properly equipped to effectively implement the K to 12. The PPST targets to produce better teachers in the country by improving their qualifications skills and by increasing their levels of knowledge, practice and professional engagement. The six modules of the PPST are the following: 1) The Department of Education; 2) The Filipino Teacher; 3) The K to 12 curriculum; 4) The Teaching Process; 5) the Learning Process; and 6) The School and Community Linkages. These are all anchored on the seven domains that quality teachers should exhibit including: 1) Content Knowledge and Pedagogy; 2) Learning Environment; 3) Diversity of learners; 4) Curriculum and Planning; 5) Assessment and Reporting; 6) Community Linkages and Professional Engagement; and 7) Personal Growth and Professional Development. Anchored on the principle of lifelong learning, the set of professional standards for teachers articulates their developmental progression. Career Stage 1 or Beginning Teachers have gained the qualifications for entry into teaching position; Career Stage 2 or Proficient Teachers are professionally independent in the application of skills vital to the teaching and learning process; Career Stage 3 or Highly Proficient Teachers consistently display a high level of performance in their teaching practice; and Career Stage 4 or Distinguished Teachers exhibit the highest standard of teaching practice in accordance to global best practice. The regional offices are set to orient their respective schools divisions on the PPST, including the monitoring and evaluation of its implementation. The school divisions will cascade it to schools districts and schools. DepEd, through the Teacher Education Council (TEC) headed by Director Runvi Manguerra, has initiated the PPST workshops on Module Development, Enhancement and Validation attended by curriculum specialists, school heads, and other stakeholders. A workshop on the Development of Implementing Guidelines for PPST was also conducted in coordination with the Research Center for Teacher Quality (RCTQ), and attended by DepEd Regional Directors and officers of Basic Education Sector Transformation (BEST) program. TEC also spearheaded the PPST National Roll-Out, as well as the Teacher Induction Program (TIP) National Orientation of Trainers in three clusters – Luzon, Visayas, and Mindanao, which was participated by DepEd Directors, Schools Division Superintendents, chiefs, district supervisors, principals, education program specialists, master teachers, and RCTQ officials. This was followed by TIP module review workshops and module pre-finalization workshops. 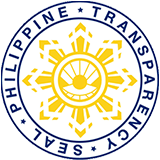 The concept of the PPST was first introduced during the First National Assembly of Education Leaders held at PICC, Pasay City, and attended by 3,800 education managers nationwide. It was formally launched during the World Teachers’ Day (WTD) celebration held in Legazpi City that was attended by 6,000 teachers across the country.